Rather than stake out a 24-hour Starbucks or pirate from your neighbor with the open network, elevate your daily workspace at these best hotel lobbies with free Wi-Fi. 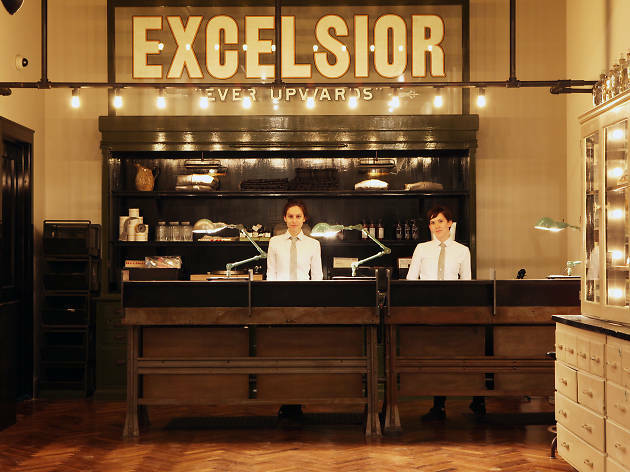 NYC hotels have been adding more enticing amenities to attract guests and locals alike—from pet-friendly hotels in NYC and top spa hotels, to dining establishments that are among the best Manhattan restaurants. But perhaps our favorite trend is how hotels have opened their lobbies and Wi-Fi passwords for anyone to work, study or take an email break after a day of shopping and walking. 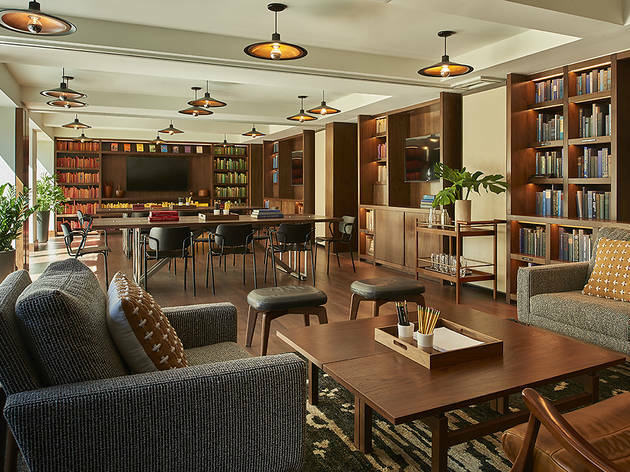 Many of these freelancer-friendly hotels add coffee, cocktails and food to the mix, so you can truly turn their spaces into your own remote offices and hangouts. 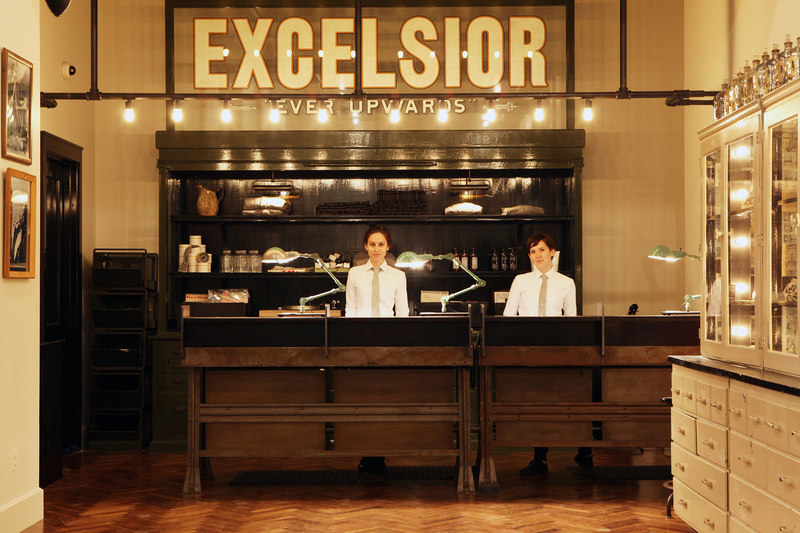 The Ace is the hotel that made working in hotels cool. 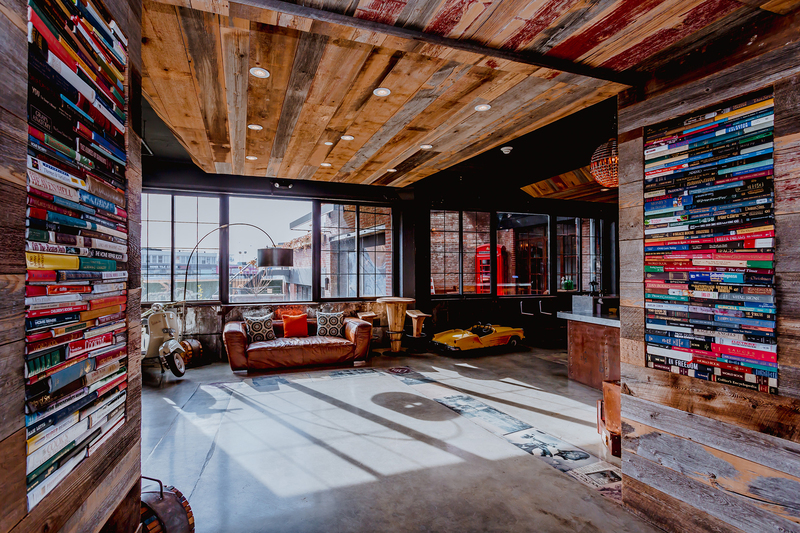 Its lobby can seem more like a coworking space, packed with freelancers, travelers, students and even small startups who plug in at its 18-foot long slate laboratory table and sit in its oversized suede sofas and plaid chairs. Some days, the lobby looks like a sea of little illuminated Apples. If the free Wi-Fi wasn’t enough, there’s excellent food choices for every meal of the day: Stumptown Coffee in the morning, No. 7 subs for lunch and the lobby bar for drinks and food from the Breslin (order the Lamb burger). 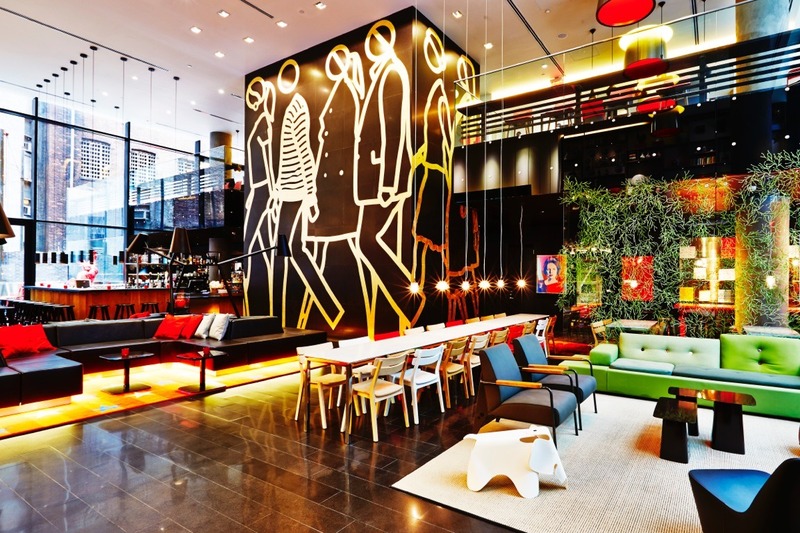 Long Island City’s best lobby for working and using the free Wi-Fi is at the Boro Hotel. 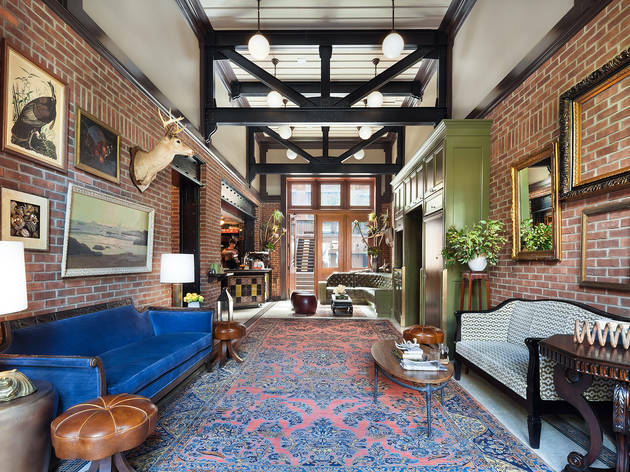 The elegant industrial space, designed by the firm Grzywinski + Pons (also behind the Hotel on Rivington in the Lower East Side), has lots of natural light, tables and chairs, modern sofas, a fireplace and bookshelves curated by Strand Books in Union Square. Non-guests can order coffees at the cafe and drinks at the lobby bar. Happy hour is from 4 to 7 p.m. Monday through Friday. 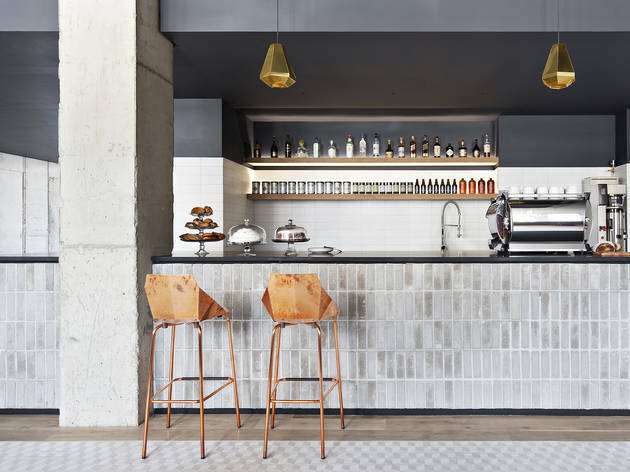 The New York offshoot of this Amsterdam-based chain gives its techy clientele and locals ample space to work and use the free internet in its eclectic lobby. 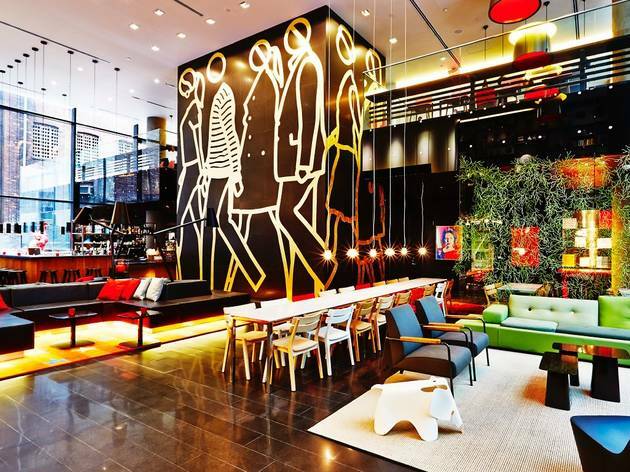 With 26-foot ceilings, the lobby has floor-to-ceiling bookshelves, modern Vitra furniture and artwork by English artist Julian Opie. The hotel’s cafe, canteenM, is open 24 hours and serves coffee, cocktails, breakfast and snacks. 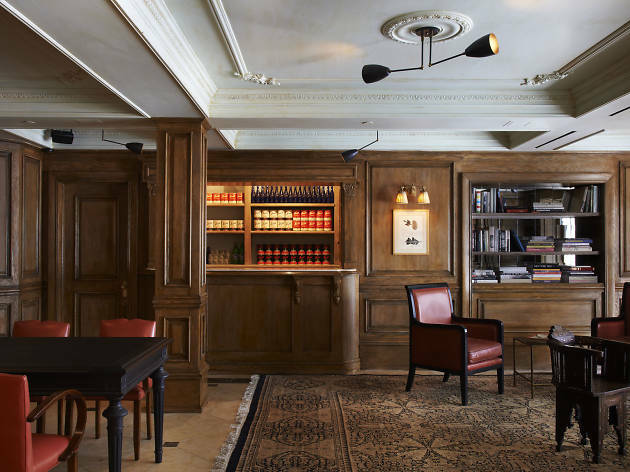 Though it’s not technically in the Nomad’s lobby proper, the hotel’s two-level Library behind the restaurant is the perfect place get online or read while sipping on coffee or a cocktail. A spiral staircase imported from France connects the two floors of books on dark wood shelves, and there’s tufted upholstered couches and chairs for sitting. 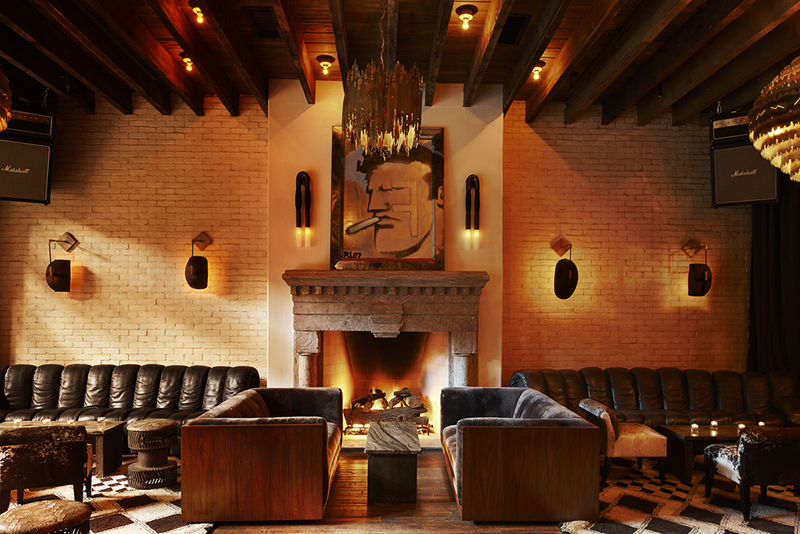 The Lower East Side hotel’s lobby is like a giant public living room, with a limestone fireplace at the center and plush leather couches. 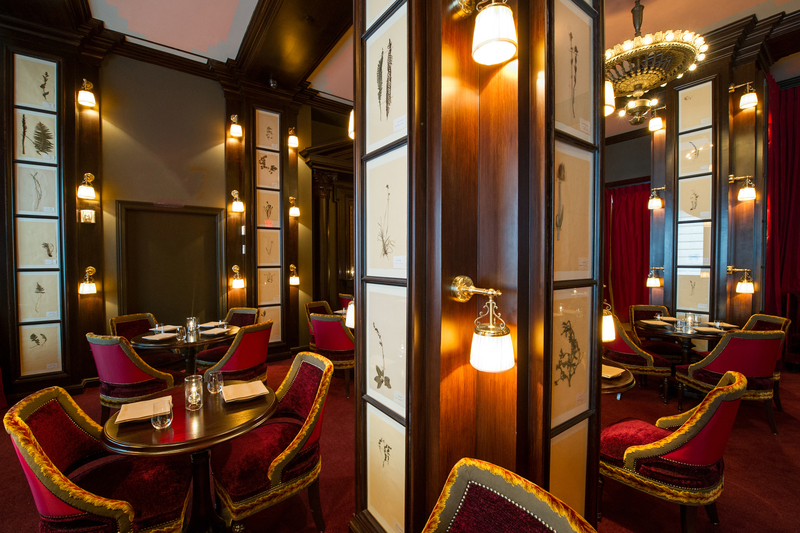 Locals and guests are invited to use the Wi-Fi, or grab a drink in the all-season garden and lobby bar, which features cocktails and a selection of dishes (tuna tartare, salads, flatbread and burgers, to name a few) from Dirty French. 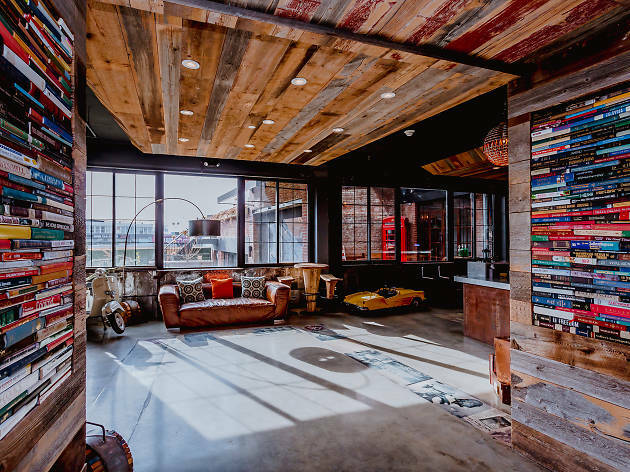 In Queens, the Paper Factory’s light-filled lobby, with leather couches, high-top tables and exposed brick walls, doubles as a coworking space. 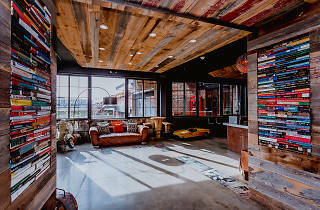 There’s a cafe serving coffee in the morning and early afternoon, then cocktails after 5 p.m. Or head to the game room to check emails and play a round of shuffleboard. 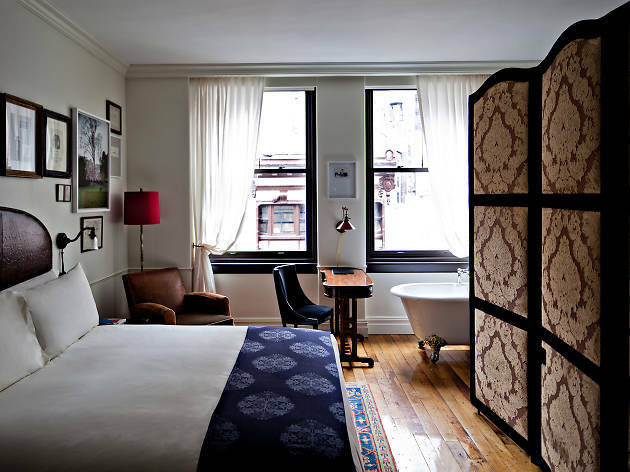 At both Arlo Hudson Square and its sister property, Arlo Nomad, design firm AvroKO made up for the hotels’ micro rooms by creating generous communal spaces for working, gathering and soaking up the fast fiber Wi-Fi. 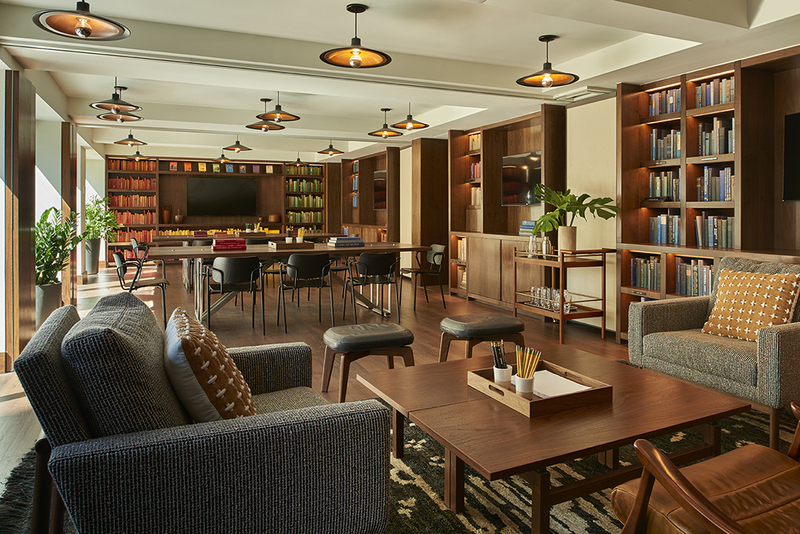 We’re partial to Hudson Square’s library lounge just past the lobby, which has hidden outlets and a table that seats 10. 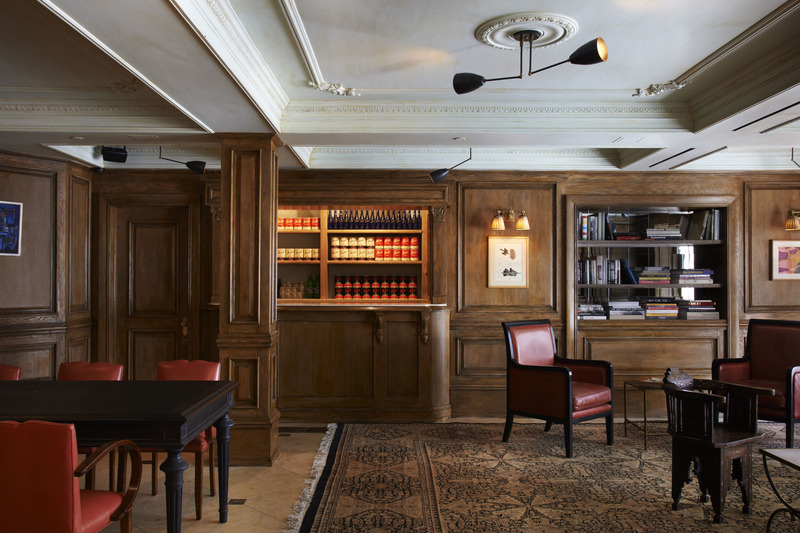 The lobby and library are open 24 hours, as is the hotel’s grab-and-go cafe called Bodega. The Nomad location has a library on its second floor and other public spaces that are open to all. Many a beat writer, from Jack Kerouac to Neal Cassady, holed up at the Marlton to work on their manuscripts. 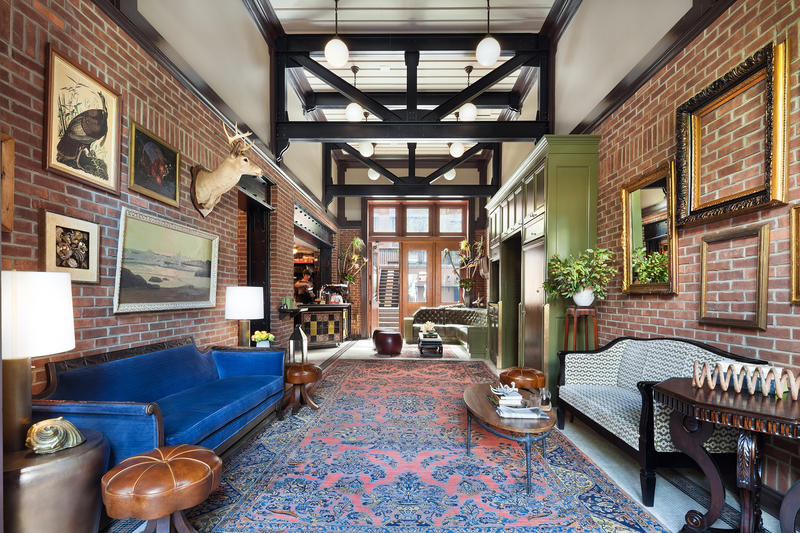 Today, the revamped historic property (the building dates back to 1900) opens its lobby and Wi-Fi to freelancers and locals. 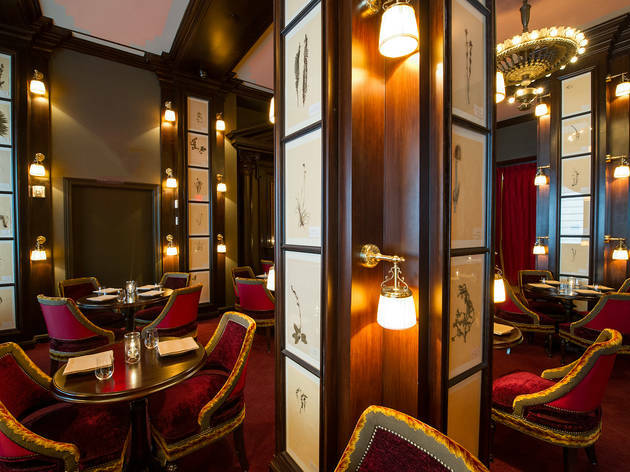 The centerpiece of the wood-paneled space is a fireplace, surrounded by leather chairs and a few tables. 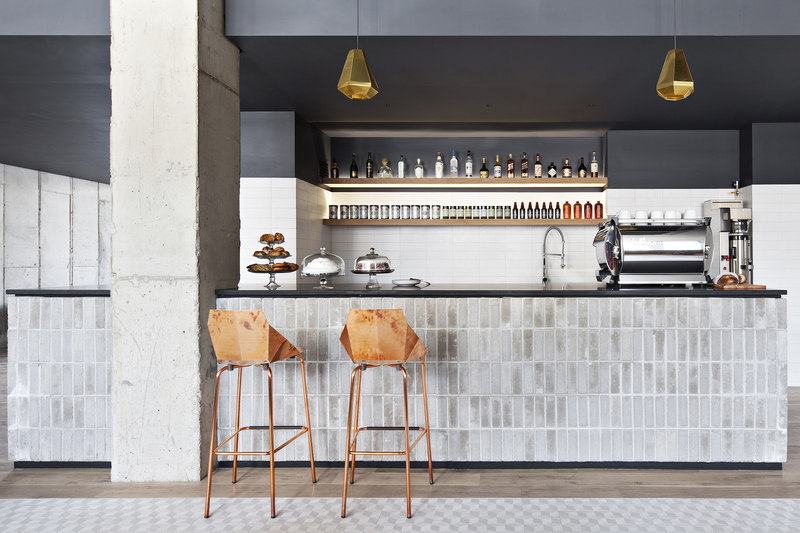 An espresso bar serves coffee and tea. We can’t guarantee On the Road-levels of inspiration, but at least there are cappuccinos with homemade almond milk and a roaring fire that beat the home office. 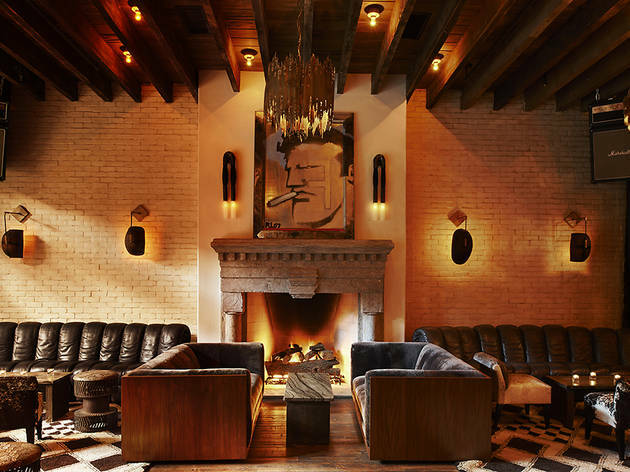 The lobby of the High Line Hotel feels more like a coffee shop than a traditional hotel space, thanks to an Intelligentsia espresso bar and mix of vintage furniture and antique rugs sourced from palaces and estates around the world. You’ll find guests and non-guests working and hanging out on the banquettes and sofas in the lobby or in the hotel’s courtyard. 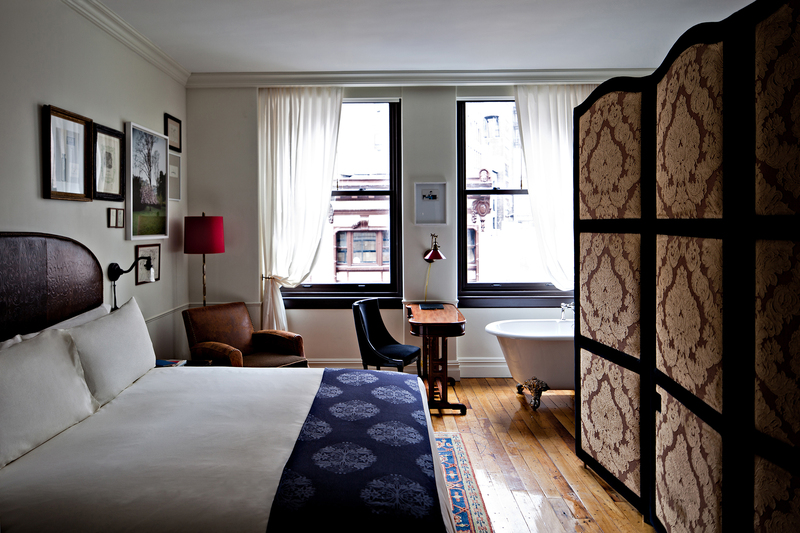 Looking for a hotel in Chelsea?